GBC presents its newest innovation with the appellation of GBC PB2600 Modular Electric CombBind Finisher for taking its valuable users to a new dimension of Plastic Comb Binding. It is also acknowledged as Ibico 120PC. Offering consistency and versatility in operations, this GBC modular finisher can be operated with simple push of a button as well as a foot pedal. 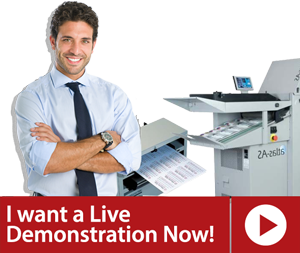 It is packed with loads of features to ensure that none of your workload remains uninfluenced by the charisma of this amazing binding machine. 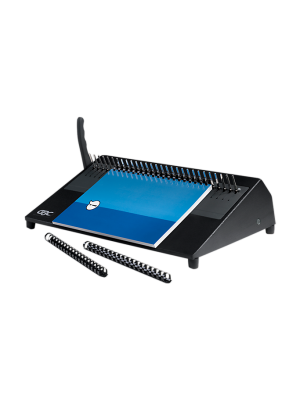 The GBC PB2600 Modular Electric CombBind Finisher comes with an angled surface that helps while you load your documents into the machine and keeps the document stack aligned and manageable. Its highlight are the GBC's patented No-Flip spine stoppers that keep the combs in place for error-free binding. Larger documents especially the A4 sizes are no more an issue with this amazing machine.